In terms of the attention that graphene has been received in the past decade, no single material is comparable. As the interest and enthusiasm in graphene research continue, it calls for critical examination on the reliability and durability of graphene-enabled applications; the mechanics of graphene hence becomes essential to address related issues. In practice, defects resulted from thermodynamics or introduced by fabrication, naturally or artificially, play the pivotal role in the mechanical behaviors of graphene. More importantly, high strength is just one aspect of graphene's magnificent mechanical properties: Its one-atom thin nature leads to ultra-low bending rigidity and gives rise to rich morphology and is crucial for morphology control. In a new review article published in the Beijing-based National Science Review, scientists at the Institute of Mechanics, Chinese Academy of Sciences, Beijing, China, and the University of Colorado, Boulder, U.S., present the latest theoretical advances in the nanomechanics of graphene. Co-authors Yujie Wei and Ronggui Yang have summarized the current advances on the mechanics of defects in graphene, and the theory to capture the out-of-plane deformation. They reviewed the structural-mechanical property relationship in graphene, in terms of its elasticity, strength, bending, and wrinkling, with or without the influence of imperfections. The scientists also outlined some challenges and the potential research directions on nanomechanics of graphene. "The intrinsic strength of monolayer graphene is about 100 GPa, at least two orders of magnitude greater than most engineering materials. The strong material is also soft in nature—graphene can be easily bent to form rich three-dimensional morphology under either mechanical or even thermal undulation. Such striking characteristics render graphene of potential applications ranging from nanoscale systems to macroscopic composite materials. "Due to thermodynamics, large area graphene is also defective. The thermally activated defects are generally of low energy level, like point vacancy and 5-7-7-5 rings, and 5-8-5 rings. Large ones include grain boundaries and free edges. The mechanics of those typical defects in graphene and their influence on the strength are the central tasks to address the structure—mechanical property relationship of graphene." When the strain energy resulted from thermal mismatch is large enough to overcome their adhesion, the graphene layer buckles to form wrinkles, relaxes its in-plane compression at the expenses of interfacial energy due to delamination and bending energy in wrinkles. The wrinkles can form during both the growth and the transfer process which are very hard to release. The wrinkling of graphene could be described using the continuum theory for thin elastic sheets. They state. "For graphene grown or transferred to a substrate, wrinkling of the ultra-thin member may occur during the competition of bending and decohesion. Both features are of importance as the morphology strongly affect the performance of such graphene sheet. A precise prediction on the morphology and its manipulations relies on an accurate description of the vdW interaction between graphene and the substrate, which is far from being reached and is desired for the commonly known fact that the accuracy of an atomistic simulation is by far no better than the potential one uses." the scientists forecast. "Since graphene is thought to be the strongest among all known materials, it is desirable to use such low-dimensional carbon structures as building blocks to realize three-dimensional (3-D) engineering materials and structures which may inherit their superb properties. In reality, the scale-up leads to a substantial degradation of properties that we desire to retain. 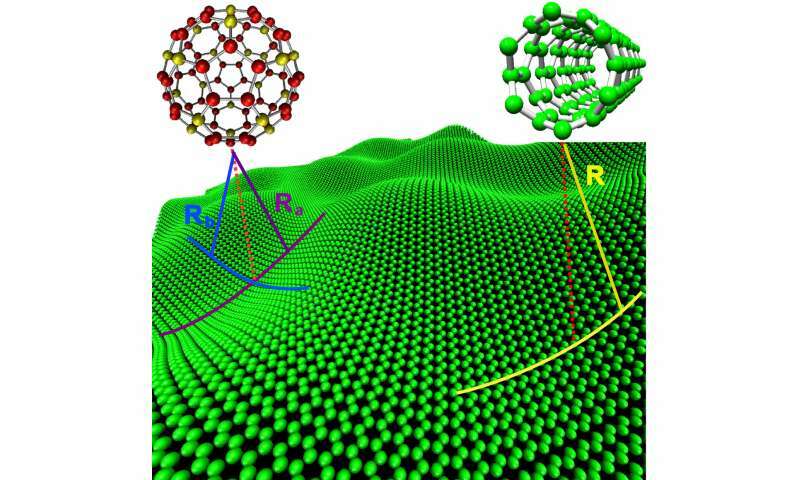 The huge gap originates from the dissimilar bonding characteristics between carbon atoms within graphene or CNTs and the architected 3-D engineering materials: The intra-structure bonding is covalent in nature, while van der Waals bonding dominates between different layers/tubes or with other materials," they add. "To fully utilize the amazing mechanical properties of graphene in engineering application of graphene, there remain many challenges to be addressed. It is unfortunate while lots of researchers focus on the bright side of graphene, the mechanics people are more concerned about the reliability and durability of the material in engineering practice which stand out one material from its competitors."